I made my decision to try Flutter last December after I saw the demo App "The History of Everything" at watching the Flutter 1.0 released video on YouTube, the animation was amazing, I am so touched. How can Flutter simplify development and make developers' lives easy? Are there mature Android App solutions that are Flutter-equivalent? how to build a screen. how to build a tab navigation view. how to build a list view. how to navigate and pass data between screens. how to restore data during screen rotation. how to make http request. BTW: Flutter society provides a lot of resources to learn, the official docs, demo Apps, YouTube channel, Medium articles. I will attach them at the end of this article. (phase 2) Then use Fragment as a screen, Activity is just used to host Fragments. We might also struggle with the 2 LifeCycles of Fragment, the nested Fragments backstack, the screen rotation, the navigation between Fragments and Activities. Fortunately we have tools to simplify these problems, like ViewModel, LiveData, Data-binding, Navigation Graph & Controller, etc. So does Screen. The following codes snippet builds a simple screen which contains an ActionBar and a Text. The full code contains a StatefulWidget which maintains state that might change during the lifetime of the widget, the state won't lost when rotate screen. (1). Name subexpressions instead of return A(B(C(D(), E())), F()). This turns the widget tree inside out, syntactically. (2). Extract some meaningful pieces… Pieces? Widgets! Flutter widgets are all about composition and reuse. Just a few lines of codes, that's it, fairly straightforward. No Intent, no Fragment Arguments, no Parcelable, no startActivity, no fragmentTransaction, no need to know so much details behind Activity and Fragment. Just a few lines of codes, no adapter, no item view-holder, no attaching adapter to list view. It's the common practice to use Retrofit + Gson/Moshi + Data Class + Rx/Coroutines to implement API in nowadays. Are there any equivalents in Flutter? 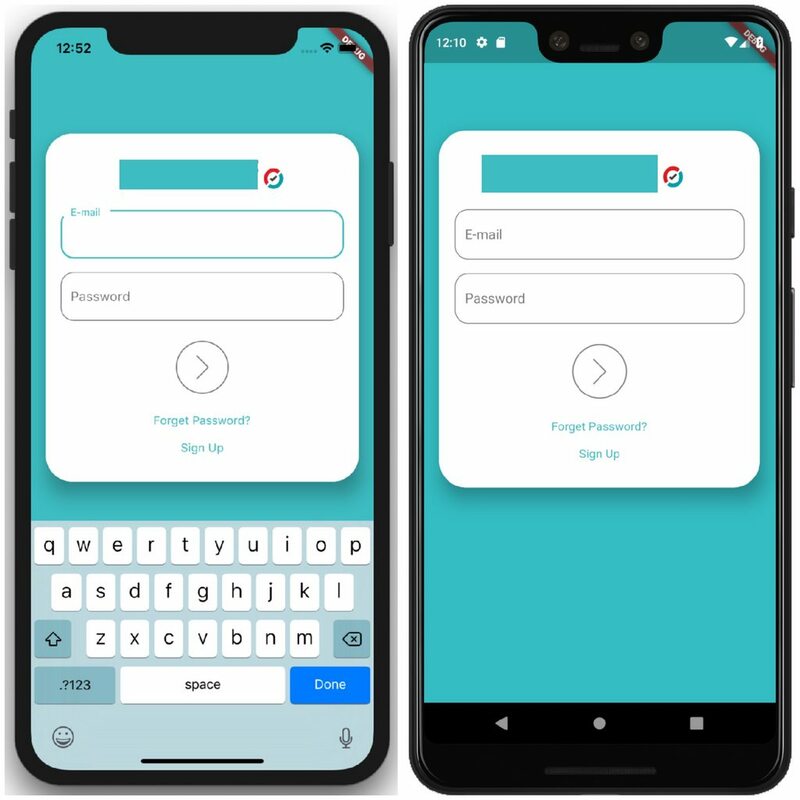 Fetch data from remote: Flutter provide http package for this work. Further reading: Fetch data from the internet. How to log requests and responses? Is there Retrofit's method(get, delete, post, put) annotations equivalent in Flutter? How to intercept requests or responses to handle network status, API error, oAuth, header centralized? How to chain APIs like RxJava flatMap? is a Http client for Dart, supports Interceptors, Global configuration, FormData, Request Cancellation, File downloading, Timeout etc. I am not sure if it meets all the requirements but just give it a try. I cannot say for sure, but Flutter animation looks quite simple at my first glance, compared the Hero animation in Flutter with the equivalent shared element transition animation in Android, just simply wrap the widgets with a Hero widget and set with the same tag, that's it! (As you see, "Everything’s a Widget" comes again). Dart doesn't have data class, sealed class, extension function, when expression, lack of null-safe types,... which Kotlin has, it's a pain, however, as a Java Dev, we know that language is just a tool, some fine to use, some not. Display images from the internet Flutter has cached network image package, something like Picasso in Android. Internationalization and Localization Facilities Flutter provide a built-in package for it, including message translation, plurals and genders, date/number formatting and parsing, and bidirectional text. In Flutter, everything’s a widget. Flutter also provides a ton of widgets, to be honest, I almost get lost in composing widgets, but don't worry, there are several sample Apps that show the widget catalog: Flutter Gallery，Flutter Catalog, Flutter Go. Flutter Widget of the Week on YouTube contains a list of one-minute lovely videos showing how to use these widgets. Search "Flutter cheat sheet" on Google you will get articles which are short, sweet and simple with loads of visual examples. Flutter Codelabs provides a guided, tutorial, hands-on coding experience. The official Flutter documentation is the most important, Get started part guide you set up the dev environment, Cookbook part contains recipes that demonstrate how to solve common problems while writing Flutter apps, each recipe is self-contained and provides complete code and running results in image or gif. Flutter gives me a quite different experience compared with Android App development. I am not sure if it's the future, but just give it a try. You will probably also find different things.